BREXIT: BE THE VOICE FOR FARM ANIMALS! On Wednesday (29th March) Prime Minister Theresa May will trigger Article 50, beginning the Brexit process. Here at Compassion we are doing everything we can to ensure that farm animals are not forgotten as the UK leaves the EU. The outcome of the negotiations will be fundamental to the future outlook of British food, farming and animal welfare. We are telling the Government that farm animal welfare must not be endangered by Brexit negotiations and any opportunities for improvement to animal welfare must be fully exploited. I am writing to you today, because – if you live in the UK – I need your help with one of these opportunities for improvement. For years our supporters have been trying to secure a ban on the live export of farm animals from the UK… but time after time politicians have told us this cannot happen whilst we are in the EU. Well, we are now leaving the EU so it is time for politicians to practice what they preach. 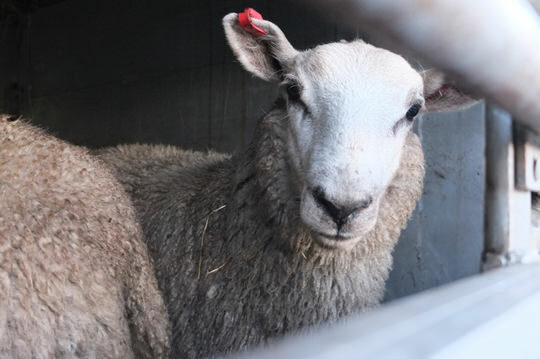 A new petition has been launched by Compassion supporters, enabling UK residents to demand that the Government legislates to end the export of live farm animals as soon as the UK exits the EU. In a recent debate in Parliament, when talking about banning live exports, the Defra Minister George Eustice said, “Once we leave the European Union, we will be free to do so [ban live exports], if that is the decision of the UK Government; there will be nothing to stand in our way”. This is very encouraging, but now more than ever the Government needs to feel the public’s drive to ban live exports. To do this we need your signature, showing politicians the public want to see this horrific trade banned once and for all. If 10,000 people sign the petition, the Government is obliged to respond. If 100,000 people sign the petition the issue could be debated in Parliament. Please sign the petition and share far and wide. Together we can ensure farm animals have a voice in the Brexit negotiations. PS Brexit gives us the opportunity to think about food and farming from scratch. We have put together a plan for the future of food, farming and animal welfare post Brexit. Find out more. This entry was posted on 30 March, 2017 in homepage and tagged Brexit, Compassion in World Farming, Live Exports, Petition. Bookmark the permalink. Vitally important that as many as possible sign this – and encourage others to. It’s the least we can do for those poor animals.